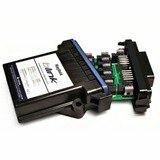 Blink Marine’s gateway modules are designed with simple interfaces (J1939, CANopen, RS232/485) and ultimately provide a low cost and effective communication solution for command and control. 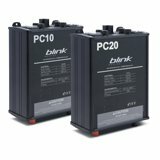 While you are able to enjoy the benefits of remote input/output management, the versatility of these devices allow for easy implementation and interfacing to a multitude of possible controls from networked keypads to discrete switching components which can be tailored to your application requirements. 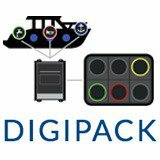 These fully networked remote I/0 modules can interconnect simplified user controls to familiar onboard equipment such as lighting, engine functions and auxiliary power capabilities. 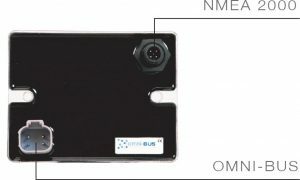 Extremely rugged Blink Marine’s PowerGate 1000 provides unique customization of electrical control functions. 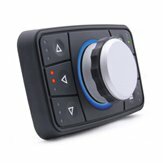 This analog interface device can be used in marine, construction, truck, bus, lawn and garden, industrial and emergency vehicle applications. The PowerGate 1000 is a great way to have the versatility of choice in switch types and dash looks, yet enjoy all the benefits of digital power distribution, including dual control stations, remote trip resetting and reduced cabling. All of this is available with one low cost interface gateway. 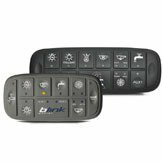 Every model and year dash change becomes a simple switch style choice, leaving all the feature enhancements and inter-connectivity to new devices networked to the omni-BUS software configuration tools. 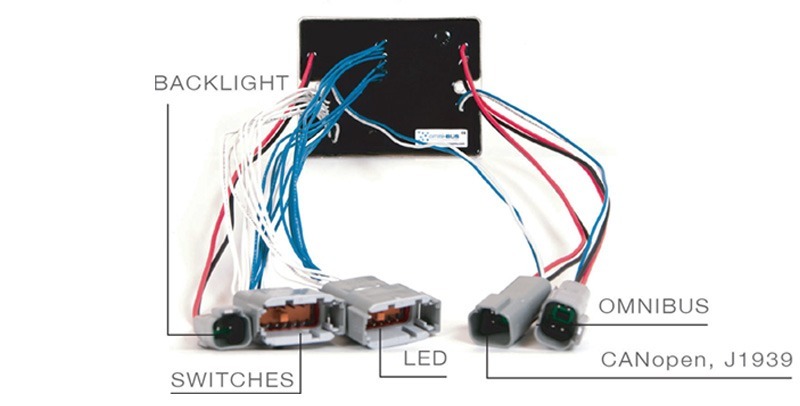 This low-cost unit features 10 switch inputs with indicators. It can accept switching to ground or system voltage or accept input from a hall effect device. Supporting CAN, J1939, CANopen, NMEA 2000, RVC and RS485-based systems, it also works with multiple connector schemes. The device is IP67-rated and can operate in temperatures ranging from -40 ̊ to +185 ̊ F.